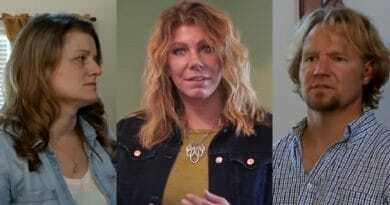 Sister Wives spoilers get a tad bit suggestive as Kody Brown joins his wives in a battle of the wits. Kody, Meri, Christine, Janelle, and Robyn Brown spew off several witty lines over an ‘F’-Word mock-up. Meri Brown unintentionally starts an impromptu play on words after she shares her creative secrets at her B&B. This all starts at Meri’s new Bed and Breakfast during the grand opening. 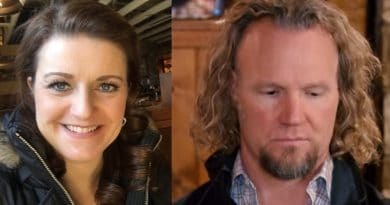 The Sister Wives spoilers indicate the scene is shot around the holidays. Furthermore, it’s Meri’s Christmas tree that really sparks this witty battle between the Brown grownups. Meri Brown has the B&B done up the way it would look when her ancestors lived in the home. Kody Brown’s wife made her B&B like a window into the past. As a result, Sister Wives spoilers show just how stunning her place looks. Keeping with the tradition of a different era, Meri decorates her Christmas tree the same way her ancestors did. This includes fake snow all over the tree. It was during a time when a spray can of fake snow just didn’t exist. So back then people used whatever was in the house. Meri used the technique called flocking to give her tree this look. Flocking the tree dates back to the 1800s, during a time when most everything was a DIY project. Meri used flour to make the inside Christmas tree look snow covered. Fans get to see this during the next Sister Wives episode. While Meri shows her handi-work of a flocked tree to Kody Brown’s other wives, a theme pops up. The women start spewing off “flocked” phrases that were not only funny but also highlighted their quick wit. Fans of Sister Wives might actually enjoy watching the wives as they share a laugh together. 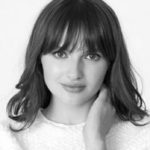 Especially since Meri seems to break down and cry often in this new season. So seeing her so happy with the B&B and now sharing a laugh, is a nice change for Meri Brown fans. But that wasn’t the end to the “flocking” talk. Once Kody Brown and his wives sat down on the couch to discuss the day’s events – it started again. With Kody involved this time it became a real battle of wits. Then the scene goes back to Meri’s B&B with the women around the tree continuing with more “flocking” wit. It’s an entertaining scene that spotlights the humor and wit of the Kody Brown family. The next new episode of Sister Wives airs Sunday, February 10 on TLC. If you can’t wait, the episode is already available from On-Demand as well as the TLC website. 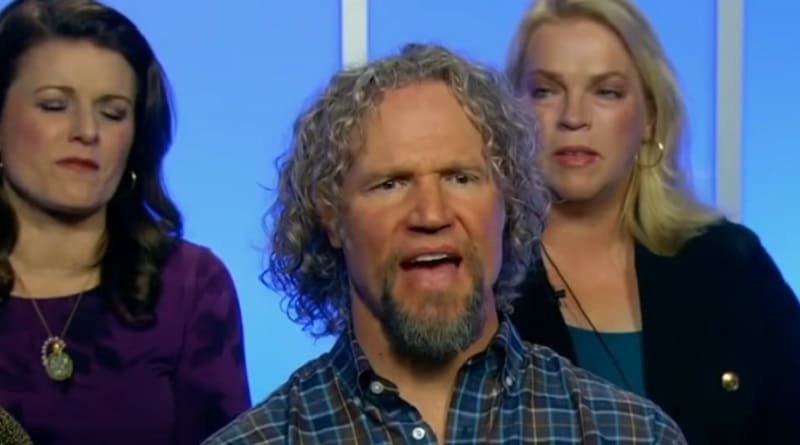 Stop back at Soap Dirt again for the latest Sister Wives spoilers and breaking news. 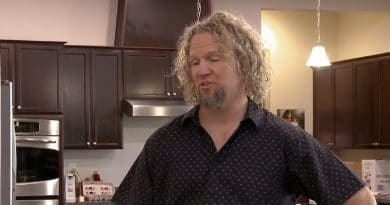 ‘Sister Wives’: Did Kody Brown Sabotage Flagstaff House – Brags He’ll Outsmart Building Code?